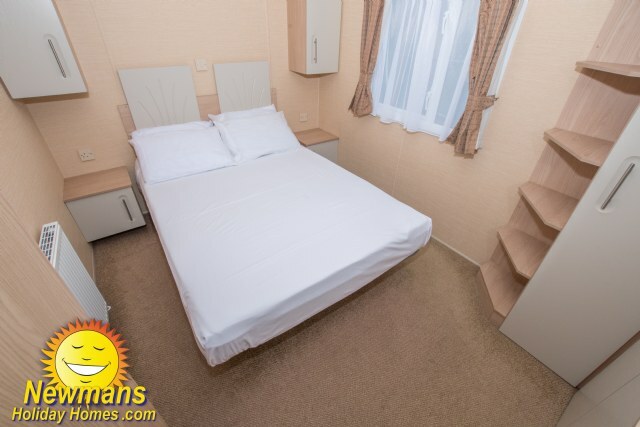 45A is a modern and spacious 12’ wide Prestige 6 berth holiday home with double glazing, central heating, parking for 2 vehicles, enclosed, garden, shared en-suite shower room, room for a travel cot in the master bedroom, piped gas, grassed side area and easy reach of the main amenities. 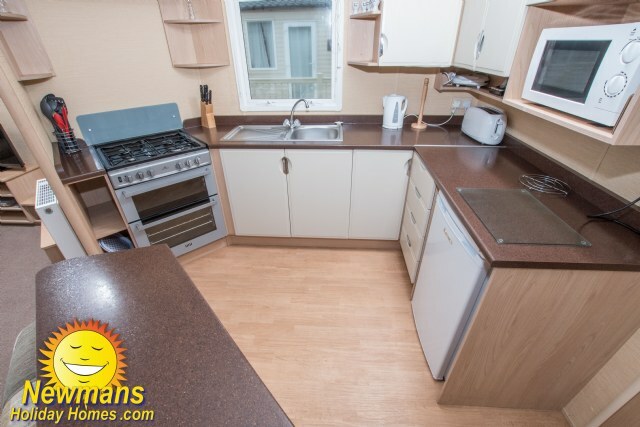 KITCHEN & DINING AREA; this lovely holiday home offers comfort with a spaciously designed interior; the modern kitchen is fully equipped which includes full size cooker, fridge (with small freezer box) and microwave. 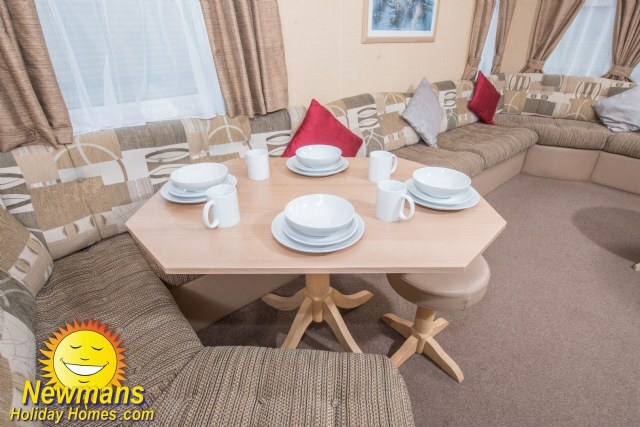 The dining area is comfortable with fixed seating plus 2 x high back chairs. 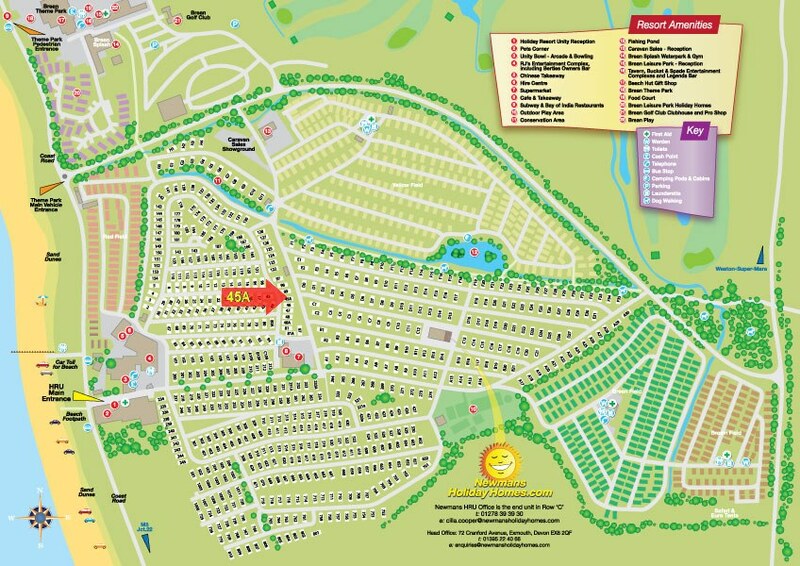 BEDROOMS; 45A has two bedrooms, one double with room for a travel cot and fitted wardrobe. One twin room, again with small fitted wardrobe, the twin beds can also be pushed together to form an additional double if required. 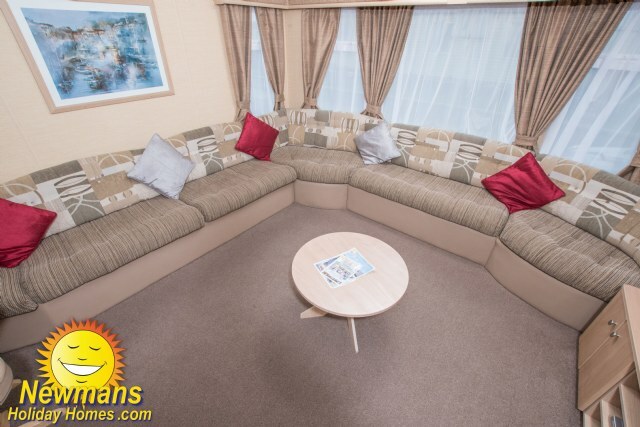 There is also a sofa bed in the lounge. 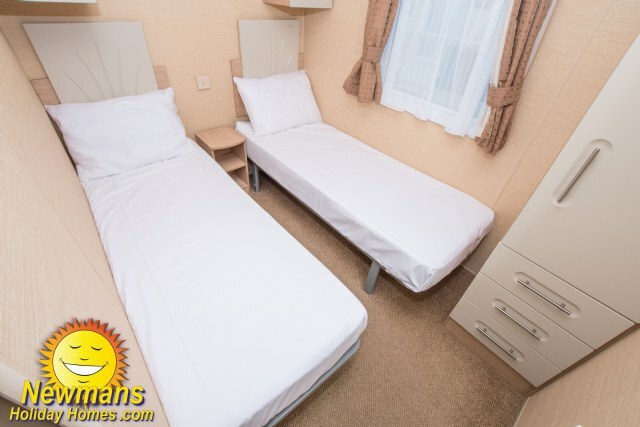 45A also benefits from a shared en-suite bathroom to the main bedroom (please note; the en-suite facility is an extra door from the main bathroom to the double bedroom and not a separate bathroom). 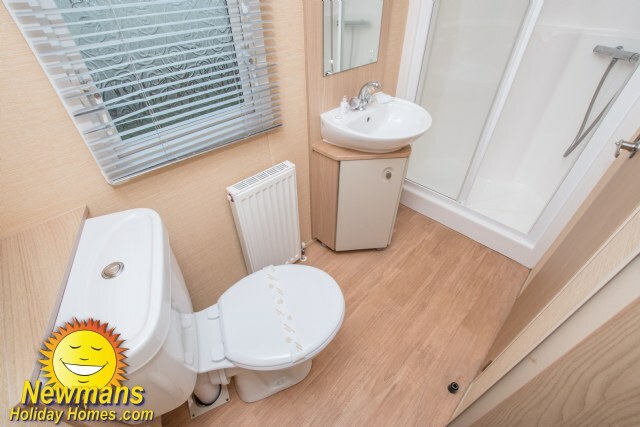 BATHROOM & TOILET; the shared en-suite bathroom benefits from a double shower unit, toilet, wash basin and heated towel rail. 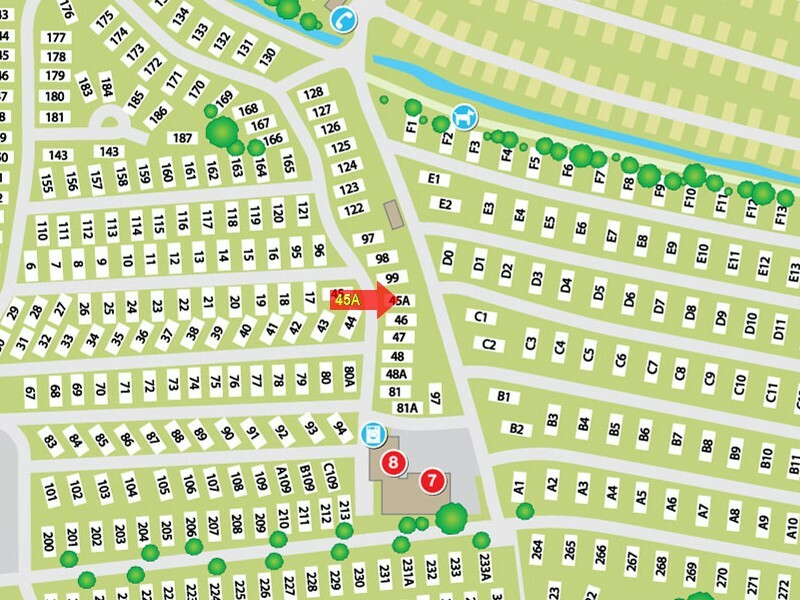 HEATING ; YES, additional electric fan heating in the bedrooms and a heated towel rail in the bathroom. VERANDA; No, has a grassed area to the side. 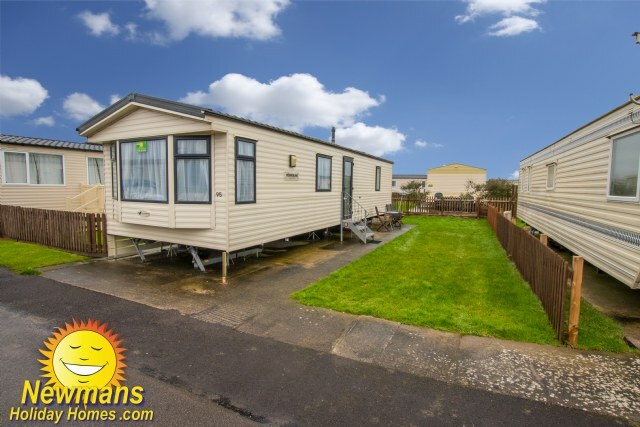 NEAREST CARAVANS FOR GROUP BOOKINGS; To find the closest caravans for group bookings please click Browse Caravans at Brean sands caravans, then select 1 to 400 (95) from the Park Area list and click Search.